At least it's summer now that we're back. That's the one redeeming factor of coming home, oh, and seeing our dogs. 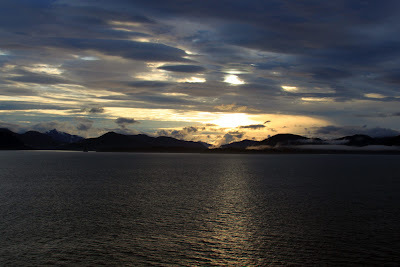 The cruise from Seattle took us up the Inside Passage, which is absolutely beautiful, up to Ketchikan, AK. In Ketchikan we did the zip lineing shore excursion, which was a blast. We got rained on, but we expected that since we are in the 2nd largest rain forest in the world. 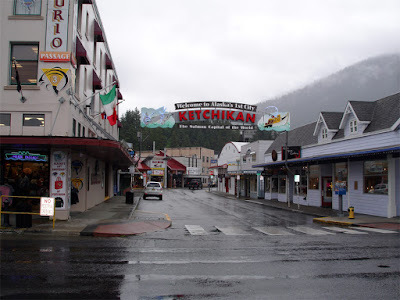 Ketchikan was a neat little town. Next stop was Juneau, which is the capital of Alaska, so it's more or a real town compared to the other stops (tourist towns). 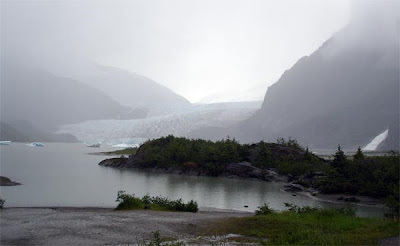 In Juneau, we did the Mendenhall glacier and Salmon bake tour. The glacier was amazing, but we didn't get hardly enought time there before we had to leave. We could have used another hour or two instead of the 1 hour we were allotted. We would have been able to hike over to one of the waterfalls and gotten a lot closer to the glacier if we had more time. From Juneau we cruised up to Skagway, which is almost entirely a tourist town. 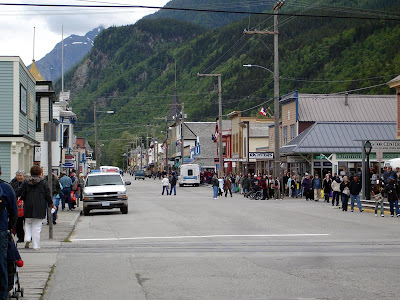 There are only 800 permanent residents in Skagway, but when the cruise ships come in the town can swells to over 14,000. We ported and there were at least 3-4 other cruise ships at port. The town looks like it's from the 1800s, and if you get into town early enough, you get the feeling of the old western movies. Once some hours go by though, all us tourists are in town and it's crowded. Everyone is waiting in line and people are everywhere. We did the Chilkoot Trail and float out of Skagway for our shore excursion, and it was quite good. The scenery was great, the hike was very good, the guide was great, and the float was pleasant too. I'd highly suggest it. 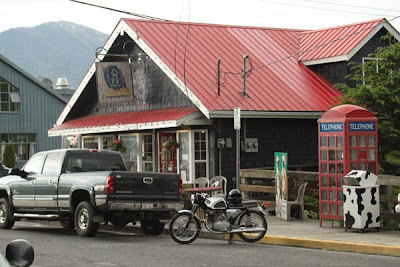 After Skagway we went to Port Rupert, Canada (my first time in Canada). It's a nice little town, and it has bald eagles all over it. We counted nine in one tree and there were seven more in another tree. They were all within 200 yards of the ship. We took another hike for the shore excursion, but it was pretty lame. They took us to a normal forest preserve type area, and we walked along a pathway (nothing like the Chilkoot trail hike). We were glad the walk wasn't too long (1-1/4 hours). We got back to town and went to Cowppacinos and had some deserts. 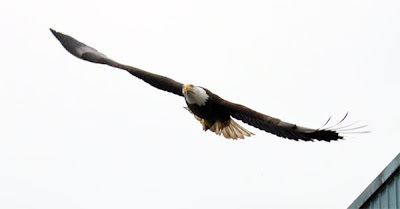 Then took 100s of photos of the eagles that were sitting and flying above and all around that area. It was amazing. ...and yes, I took this picture. There was a very cool old restored Honda 300 that parked in front of the cafe. I thought it was a great photo. Too bad the Chevy is in the way. After we got back on the boat, the seas got a bit rough and Katie spent the day in bed as she was sea sick. Alyssa and I went to the Second City comedy group show and we had a great time. The NCL cruises are really entertaining and fun. We can't wait to do another cruise.